States have default rules for how property acquired by a couple during marriage is dealt with upon divorce. However, you and your spouse are generally free to agree to a different outcome by executing a post-nuptial agreement. These contracts are entered into during marriage and can also cover matters related to spousal support and the allocation of marital debts. To determine what should be included in a post-nuptial agreement, many couples start with the governing law. When courts review the validity of your agreement, they are generally required to follow the laws of the state specified in the contract. By stating which state's laws apply to the document, you will have greater piece of mind -- if you happen to get divorced in a different state from the state where you had originally signed the prenuptial agreement. Generally, the focus of the post-nuptial agreement is to allocate ownership of property and to assign responsibility for debts. Most assets and liabilities acquired a couple acquires during marriage are subject to division as part of divorce. If you and your spouse want to keep property out of the divorce, you may specify which assets each spouse owns. You may also choose to reinforce this classification by putting language in the agreement that keeps ownership separate, regardless of how title is held or the asset is used during the marriage. It is also common for post-nuptial agreements to include provisions that relate to spousal support, also known as alimony. In most states, judges determine alimony on the basis of both spouse's needs and the ability to pay. If huge disparities in income or earning capacity exist, which might be the case if one spouse forgoes a career to become a homemaker, setting the support amount in your agreement can create certainty and reduce conflict in the event of a divorce. In many states, postnuptial agreements are more likely to be disregarded by a court than similar agreements entered into before marriage, known as prenuptial agreements. This is based on the premise that married spouses generally have a duty to one another to not to act entirely out of self-interest. For that reason, it is important to have a full disclosure of marital assets and debts, as well as evidence that the agreement was entered into voluntarily. 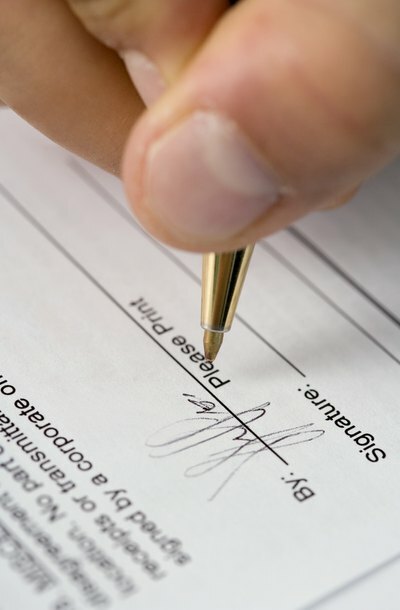 Some couples find it beneficial to either allow sufficient time for each to obtain legal counsel before signing, or execute a written waiver of this option. What Does a Divorce Settlement Include? Usually, although not always, alimony -- spousal support as it it called in some states -- must be awarded in the initial divorce decree for the former wife to modify the amount after the divorce is final. State laws that very from state to state govern what type of alimony is awarded and how the amount is calculated. Since laws are similar in most state jurisdictions, a general discussion affords a basic understanding of the requirements for a post-divorce increase of the original alimony award.